It’s getting hotter, finally! 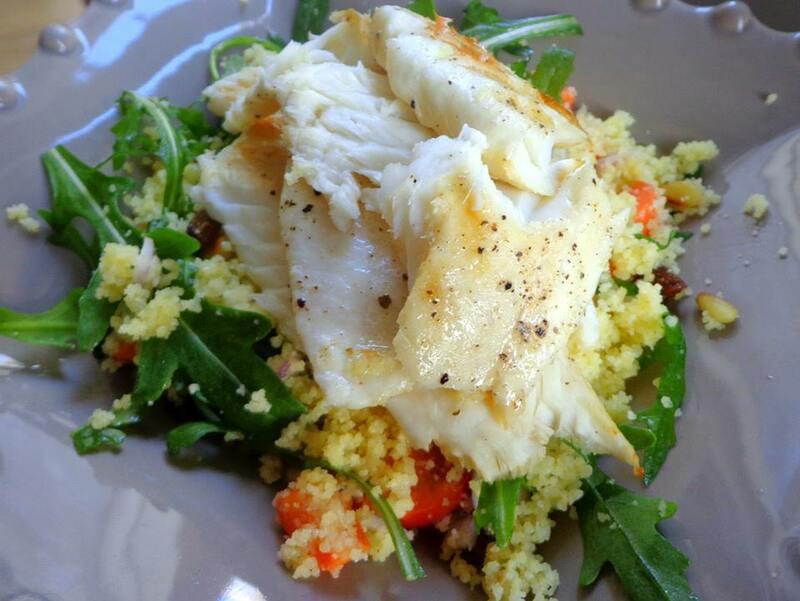 With this weather, some delicious salads with fish would do more then fine. Sitting at your balcony sipping on a glass of wine or a fresh home made Ice Tea, sounds good right.. This recipe is easy and quick, so you can relax more and enjoy the sunny days. 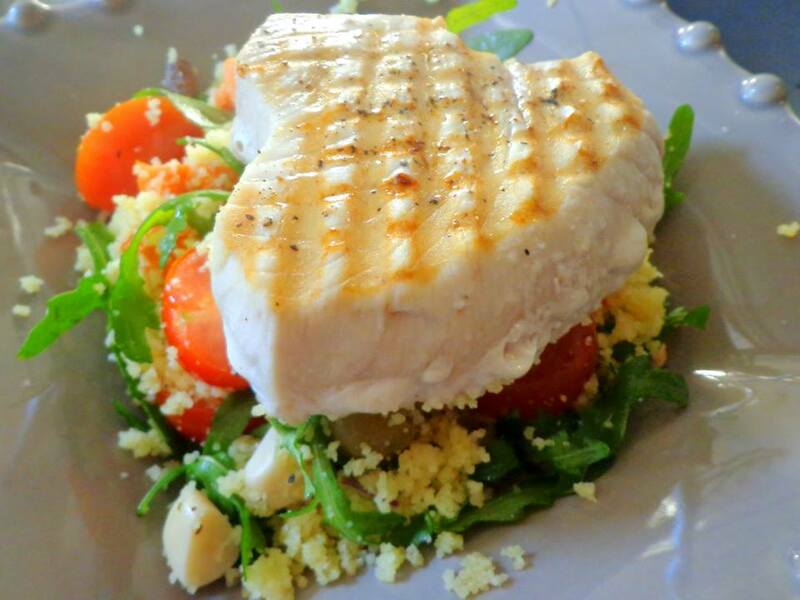 You can also make variations by adding pangafilet instead of tuna steaks. My dear friend Zinaida came up with this recipe, she keeps coming up with salads/healthy food that her daughter of 4 who doesn’t like vegetables actually gratefully eats! 1. 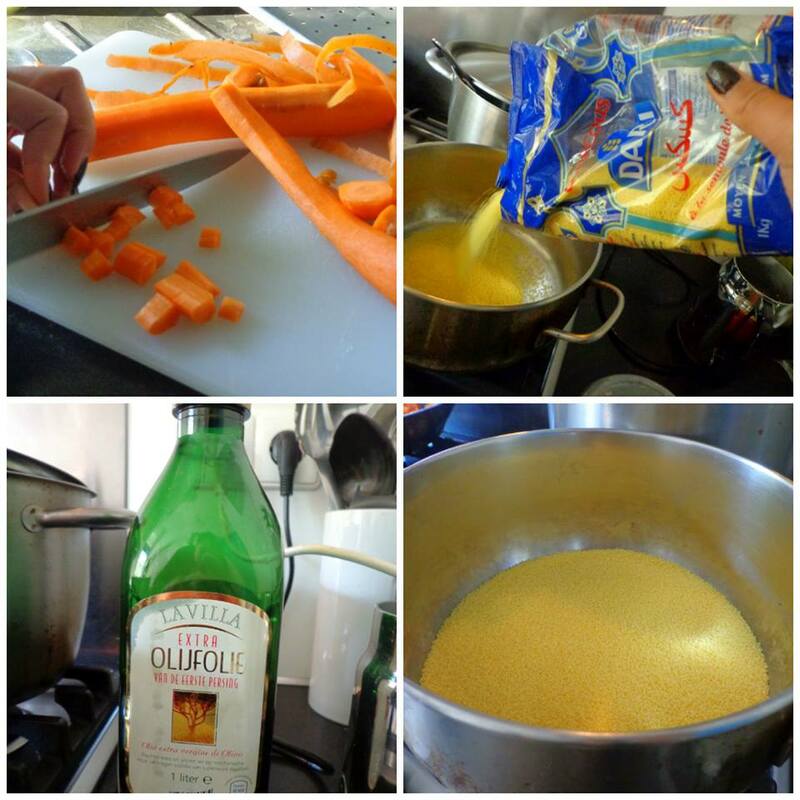 Chop the carrots to small pieces and prepare the cous cous. 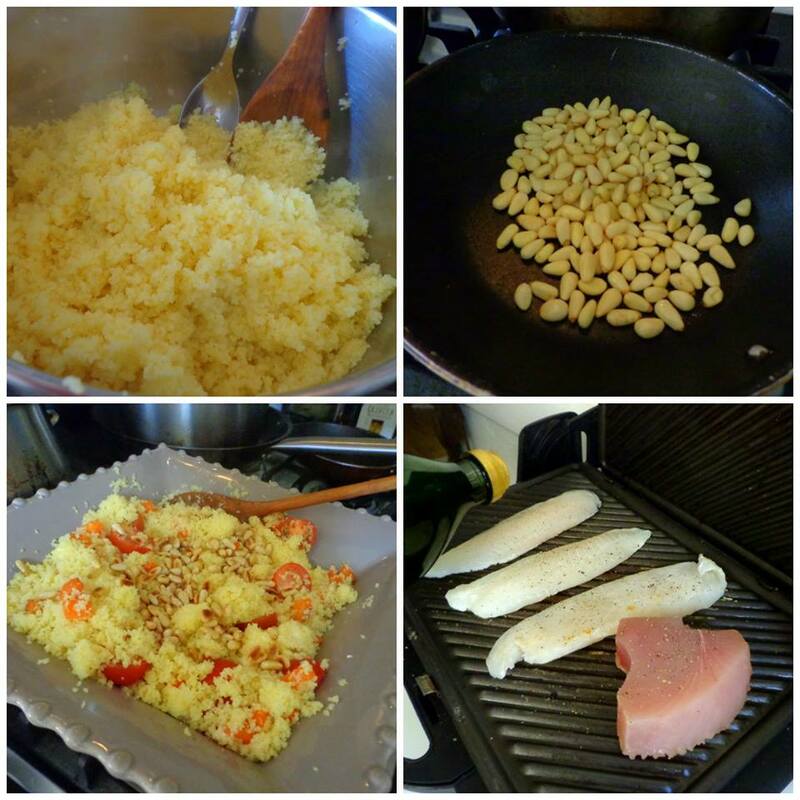 Add a spoon of olive oil on the cous cous. 2. 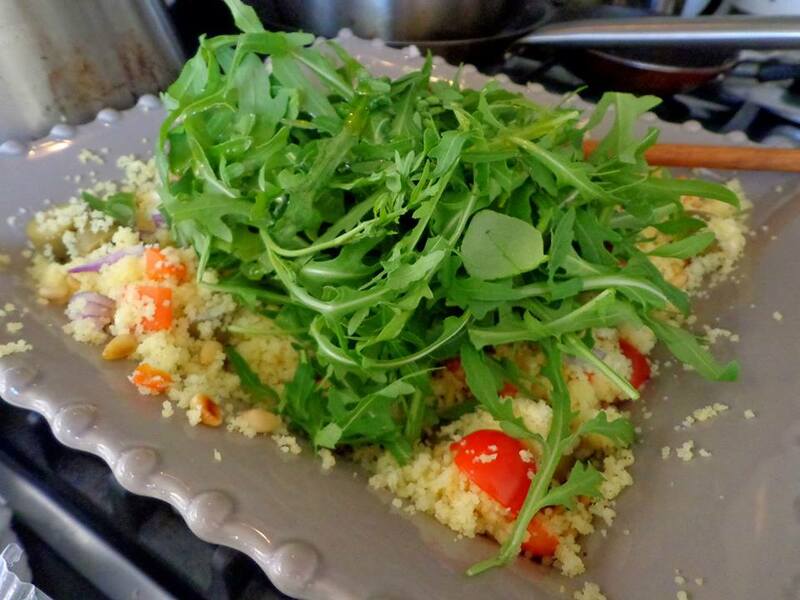 Move the cous cous to a big plate/bowl when it’s done. 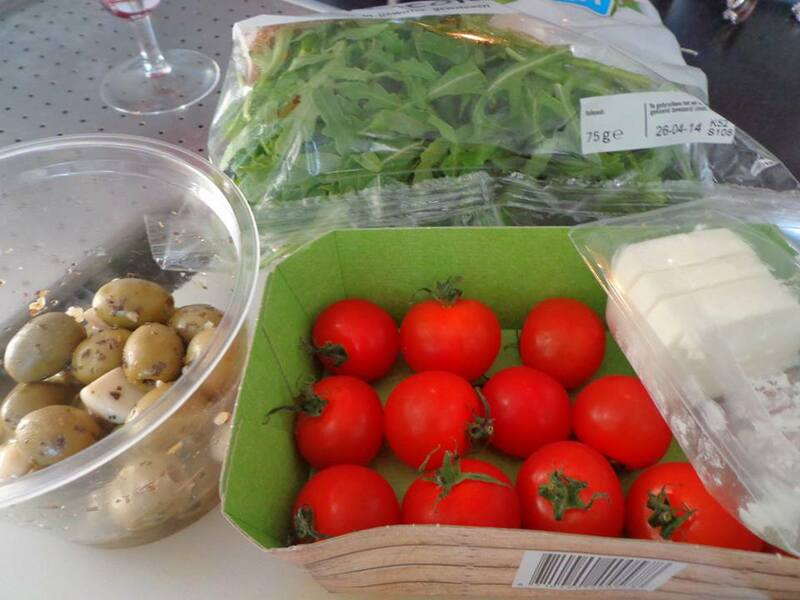 Cut the cherry tomatoes into half, add the carrots and tomatoes to the cous cous. Also cut the onion into small pieces and slice the goat cheese. Roast the pine nuts and also add them to the plate. Season the pangafilet or tuna steaks with salt and pepper, grill them for a few minutes. 3. 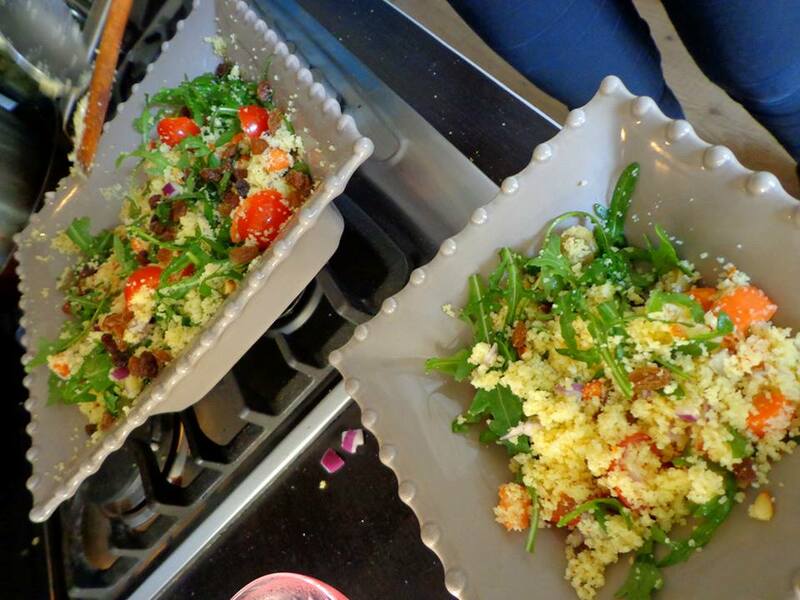 Place the salad on top of the cous cous and mix everything. 4. There’s no dressing needed further. Just put the tuna steak or pangefilet on top of the salad and enjoy!